Heads up, CFL riders! 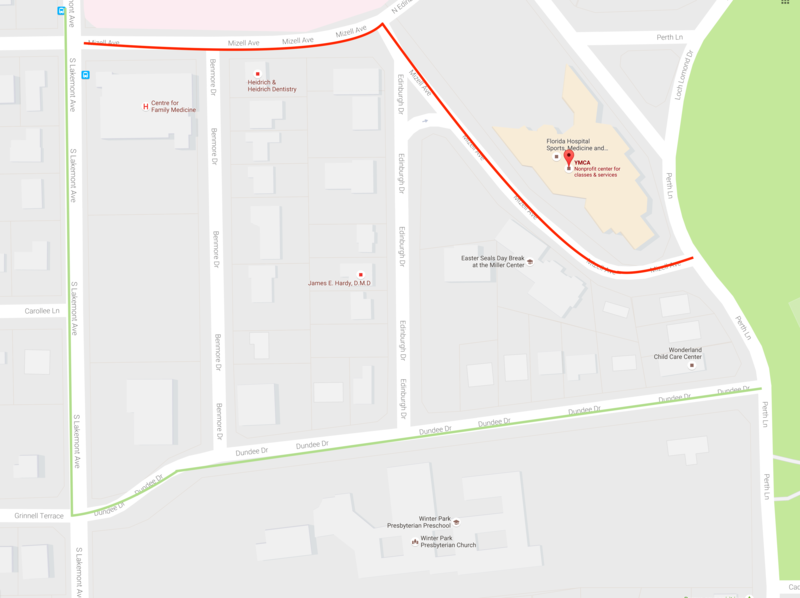 The Crosby Wellness Center in Winter Park is about to get a much-needed renovation that will require Mizell Ave., near the center, to temporarily be closed to thru traffic. This route is close to the Cady Way Trail and is often used by people biking. The best way to avoid the construction is to skip Mizell Ave. when traveling down Lakemont Ave. and instead take Dundee Dr. to Perth Ln. This example is outlined in green below. Construction on the Crosby Wellness Center is expected to take 2 years to complete.